This report analyzes the evolution of the culture of Corporate Social Responsibility in 2010, making reference to NGOs and trade unions. 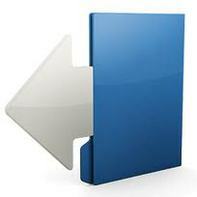 Furthermore, the effects of the implementation of Conciliation Policies is analyzed. This is the fourth Annual Report on Corporate Social Responsibility, which seeks to contribute to the social debate on the role of business in advanced economies, and generate market-oriented goods and services, are carriers of values ​​and generating confidence. Each year, reports that keep some continuity , adopt , however , different approaches and focus their attention on changing sectors of activity. 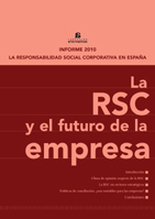 Successive reports have analyzed the challenges of CSR in terms of new management tools , social trust in the Spanish business and CSR in times of recession. Sectors and organizations under analysis concern the energy, construction , financial sectors , textiles, food, chemical, automotive, telecommunications, tourism, aviation, media and SMEs. This year , the report pays attention to CSR and the future of the company, as well as two types of organizations for which socially responsible practices are essential. These are the NGOs and trade unions. For the second time, the CSR Report is addressed on the national and international context of economic difficulties, although some economies are already seeing some signs of recovery. In a situation in which the economic debate focuses mainly on the output of the crisis, it becomes even more important that organizations focus their attention on management models that are sustainable in the future. One of the issues that should , without a doubt , part of the agendas of the RSC , as shown in this report, is the reconciliation of work and family life. Although the number of Spanish companies developing reconciliation policies is limited, the companies themselves are convinced that these policies improve the organization and, in general , increase employee engagement. This report also incorporates the third edition of a survey of experts in CSR . Despite economic uncertainty does not seem to have diminished the interest of companies to CSR, the fact is that this third wave, possibly as a result of downsizing in organizations, has received a volume of response less than in previous times. Nevertheless, the responses confirm the trend of the previous year in terms of increasing social trust in business .